The growing importance of embedding holistic sustainability in our public infrastructure has been illustrated by the Art Gallery of NSW, which has achieved a 6 Star Green Star Design review rating for its expansion, the Sydney Modern Project. This means the gallery is the first public art museum in the nation to achieve the Green Building Council of Australia’s (GBCA) highest environmental standard for design, exceeding its original five-star goal. The gallery was designed by Japanese architecture firm, SANAA, which designed the 21st Century Museum of Contemporary Art in Japan, New Museum in New York, Rolex Learning Centre in Switzerland and Louvre-Lens Museum in France. 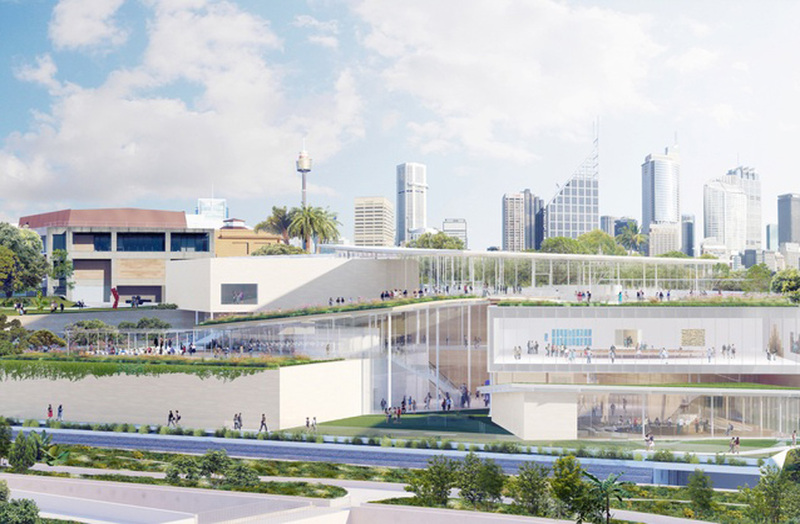 The design responds to the unique site, with a series of interlocked pavilions that cascade towards Sydney Harbour and Woolloomooloo, complementing and preserving the heritage significance of the existing gallery building. Sustainability initiatives include rainwater harvesting, extensive solar panels and a seawater heat exchange system for air-conditioning. There is also a significant focus on place, incorporating large areas of public outdoor green space. GBCA CEO Romilly Madew says the Sydney Modern Project illustrates the increasing application of Green Star in social and community infrastructure and the important role sustainable public space plays in defining our cultural identity. “This vibrant space will set a new standard for what cultural precincts can and should be – engaging, innovative and sustainable,” she says. “The Gallery’s new building has been designed with thought and sophistication, displaying a modernity that will blend seamlessly with its historic surrounds and Sydney’s urban landscape. Construction of the Gallery’s new building is expected to commence in early 2019 for completion in 2021.